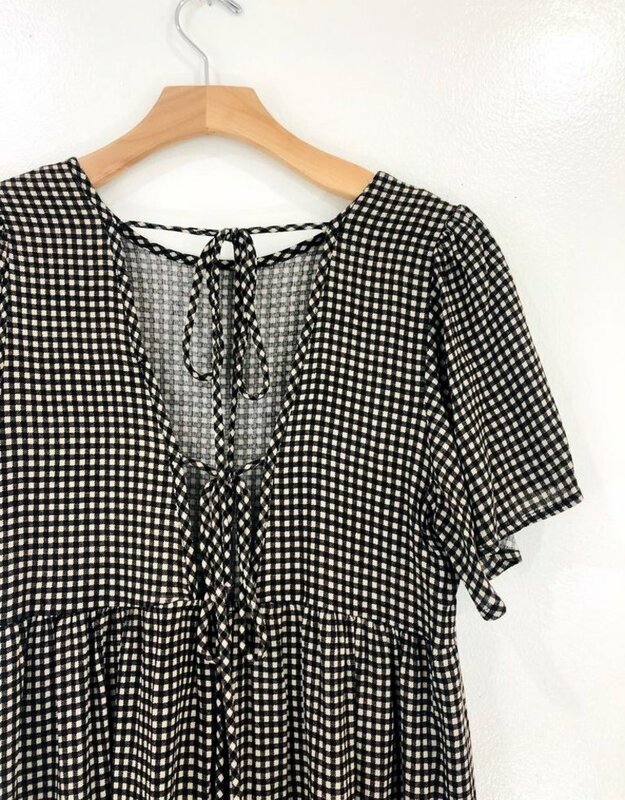 The kind of babydoll dress you'll wear all Spring and Summer long. 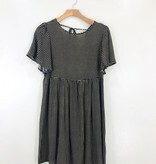 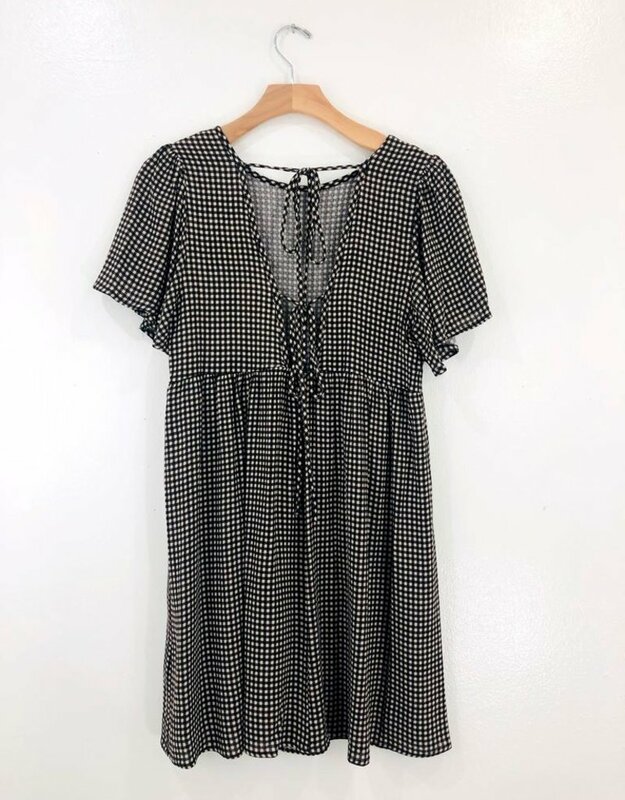 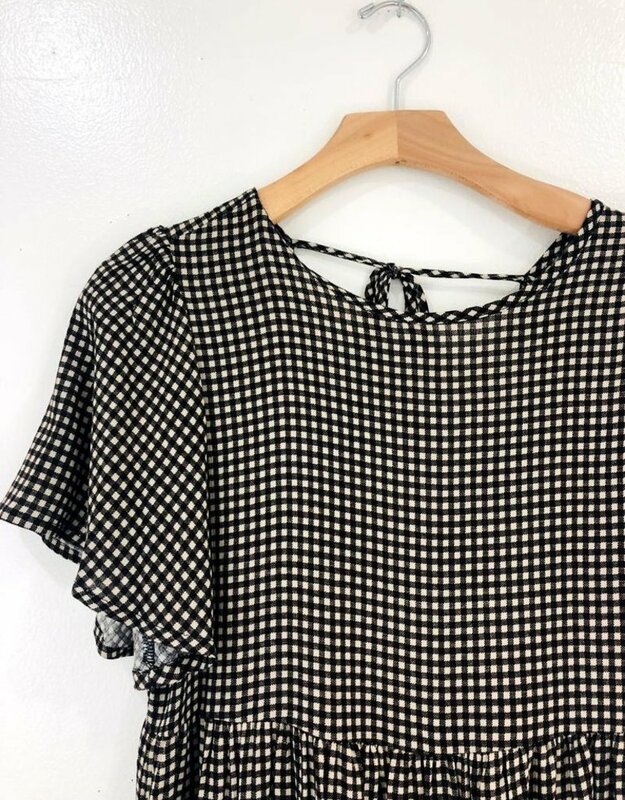 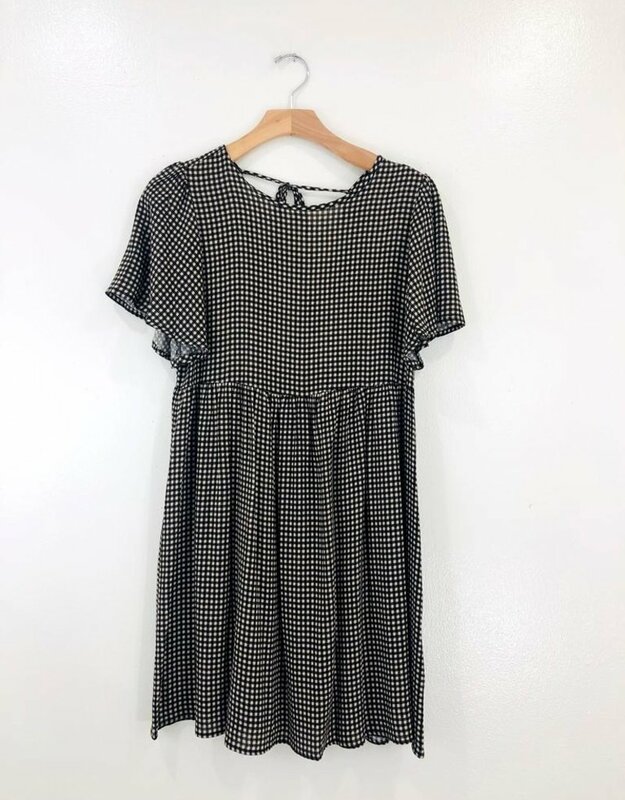 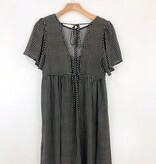 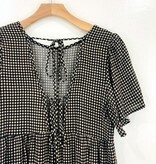 This babydoll dress comes in the sweetest black and oatmeal gingham print. 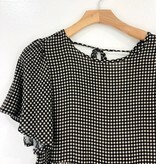 An open double tie back and flowy short sleeves makes this a feminine and flirty piece.